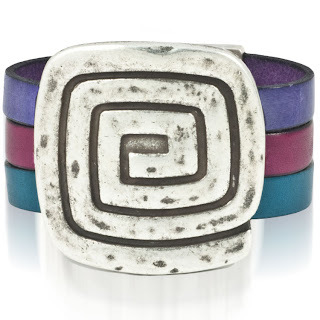 Simply select your centerpiece, clasp, and 3 10 x 1.5mm flat leather in whichever colors your prefer, then follow our step by step directions in our Bead School. 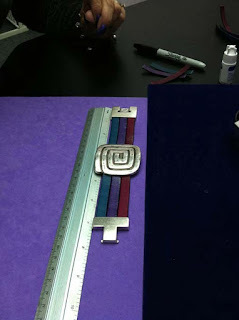 With a 12 inch ruler, lay your clasp, your center piece and your 3 pieces of leather out. For a 7 inch bracelet you need to be at 8.5 inches. For a 7.5 inch bracelet you need to be at 9 inches. For a 8 inch bracelet you need to be at 9.5 inches. 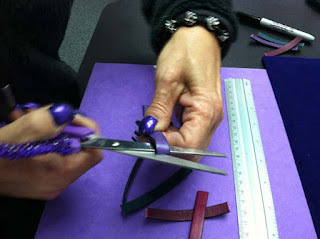 Mark your leather and cut excess off all three pieces. 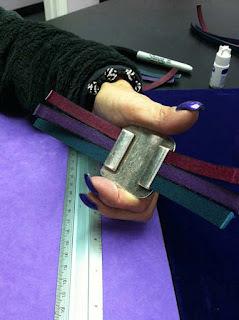 Put your bracelet together WITHOUT using Super New Glue. 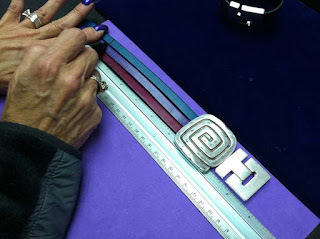 Lay your bracelet out and measure. 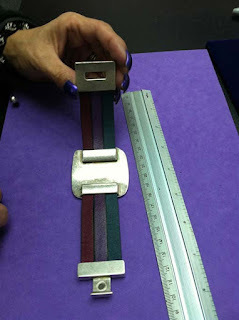 Determine if you need to make any adjustments in sizing. Place 5 drops of Super New Glue along one of the trenches in the center piece. Roll the center piece around to evenly apply the glue. Push them up into place, the ends should all line up. Allow to dry 15 minutes. Place 5 drops of Super NEW Glue along the trench of 1 side of your clasp. 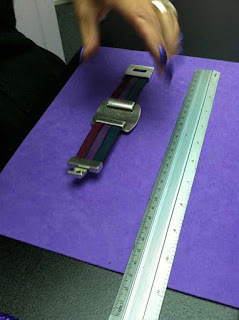 Roll the clasp around to apply glue evenly. Place all three pieces of leather into the trench and firmly push them up into place, the ends should all line up. Allow to dry 15 minutes.